Fr Vincent O'Hara, O.C.D. 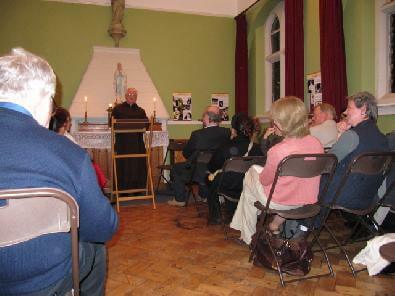 gave a clear and inspiring introduction to the life of St Thérèse on Wednesday 9th September. On Wednesday 16th Fr Michael McGoldrick O.C.D. will speak on "St Thérèse – a Spirituality of Trust" at 8pm. On Wednesday 23rd, Fr James McCaffrey O.C.D. will speak on "St Thérèse, Friend of God".